Agriculture is on its way to becoming a top-priority economic activity in the Southern Cone, thanks to the growing world demand for food, say experts from the region. RIO DE JANEIRO, Oct 29 2012 (IPS) - The development of agriculture through the adoption of technological innovations will help Latin America leave behind its status as the most unequal region in the world, and will especially benefit the Southern Cone, one of the planet’s largest food reserves. “The Southern Cone is being watched with great interest as a food reserve, but we still can’t precisely say how far the potential of our region will reach,” Emilio Ruz, executive secretary of the Cooperative Programme for the Development of Agricultural Technology in the Southern Cone (PROCISUR), told Tierramérica*. Over the last decade, the world population has increased by more than one billion people, noted Ruz. With demographic growth, the demand for food has also skyrocketed, as has the consequent need for energy generation. “There is a highly encouraging future for the Southern Cone of South America, because for the first time agriculture is going to be a top-priority activity thanks to the growing demand for food. Before it was a poor relation of the economy,” he said. Rural activity today can offer the conditions to improve the quality of life of those who work and live in the countryside, added Ruz, who is participating as a representative of PROCISUR in the Second Global Conference on Agricultural Research for Development, taking place in Punta del Este, Uruguay Oct. 29 to Nov. 1. The conference, which will bring together experts, technicians, government authorities and private sector stakeholders, is organised by the Global Forum on Agricultural Research in collaboration with the CGIAR Consortium. Nevertheless, due to major investments, the agricultural sector in Argentina, Brazil, Chile and Uruguay is already a tool for poverty reduction, he said. In Europe, all potential agricultural areas are occupied, while farmland in Asian countries is also practically saturated, as well as being constantly exposed to natural disasters. “That leaves a part of sub-Saharan Africa with significant potential. And the Southern Cone of South America, which still has areas where it can expand agricultural activity or initiate a process of intensification of sustainable land use. In other words, it has room for improving productivity,” said Ruz. The founding countries of the Southern Common Market (Mercosur) – Argentina, Brazil, Paraguay and Uruguay – still offer areas with a high potential for food production, he added. 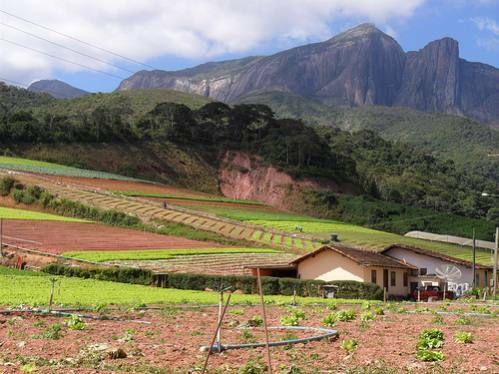 The possibilities for growth in the agricultural sector in the Southern Cone are considerable and could increase in the next three or four decades, according to Brazilian researcher Sérgio Salles, from the Department of Scientific and Technological Policy at the State University of Campinas (Unicamp). Salles Filho has worked in partnership with PROCISUR for 12 years, and was recently a co-author with Ruz of the study “Posibles escenarios para la investigación, la innovación y el desarrollo en los países de Cono Sur” (Possible Scenarios for Research, Innovation and Development in the Countries of the Southern Cone). The study, which will be presented at the forum in Punta del Este, is aimed at outlining future prospects and trends in the agricultural sector of the countries of the region, the potential of its food reserves, the evolution of rural populations, and the possible means of development in the sector. For the Mercosur countries, Bolivia and Chile, agriculture represents a key economic activity, due to the potential for supplying the European and Asian markets, Salles Filho told Tierramérica. Food security and more sustainable agricultural production can be achieved through the incorporation of technological innovations in rural areas, he said, and the region has already begun to attract this type of investment. Technological innovations take place as economic and market conditions improve, noted Ruz. “And there is clearly a process of innovation underway in agriculture,” he added. Rural areas are undergoing a transformation in search of smarter, “precision” agriculture, capable of using the most modern machinery, maintaining storage and logistical systems, applying inputs in accordance with the specific characteristics of the land in question, and making more efficient use of environmental resources. In order to achieve this, there needs to be intercommunication between technology, land use, machinery, telecommunications and biotechnology, said Ruz. The PROCISUR executive secretary admitted that making agricultural production compatible with sustainability, as well as reconciling environmental preservation with food security, continue to pose a challenge. But this compatibility is real, he maintained. “It is perfectly possible to make optimum and highly efficient use of resources, with a high degree of ecological awareness and maintaining a balance, without causing any significant damage to the environment,” he said. But for this to be viable, institutional frameworks are needed. “There has to be regulation on how these controversial issues are handled,” he stressed. * This story was originally published by Latin American newspapers that are part of the Tierramérica network. Tierramérica is a specialised news service produced by IPS with the backing of the United Nations Development Programme, United Nations Environment Programme and the World Bank.